"Reflect upon your present blessings, for which every man has plenty; not on your past misfortunes, of which all men have some." "Thank you is the best prayer that anyone could say. I say that one a lot. Thank you expresses extreme gratitude, humility, understanding." "Gratitude is one of the sweet shortcuts to finding peace of mind and happiness inside. No matter what is going on outside of us, there is always something we could be grateful for." "Thankfulness is the beginning of gratitude. 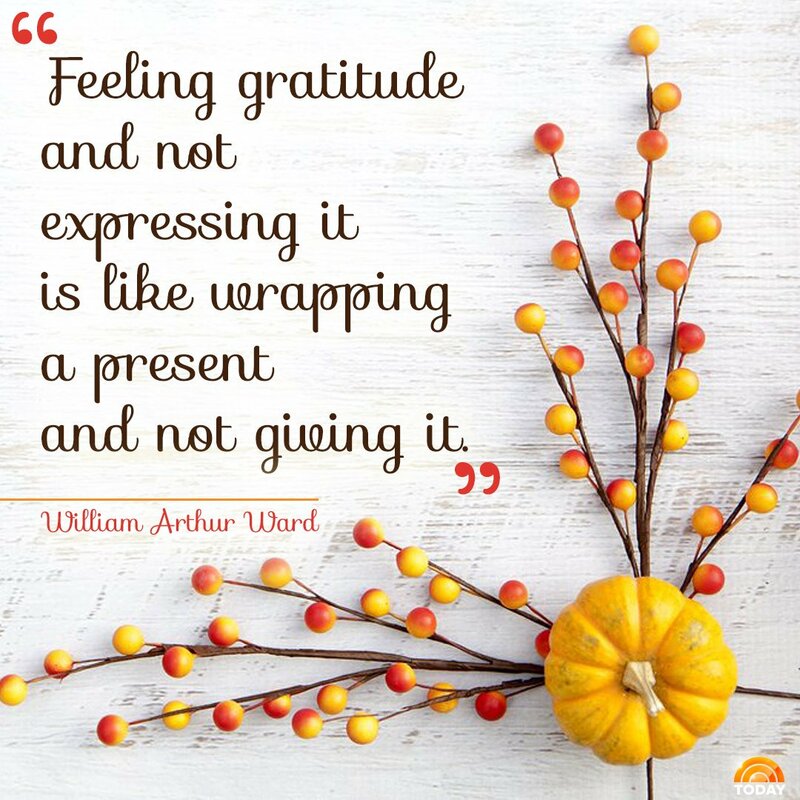 Gratitude is the completion of thankfulness. Thankfulness may consist merely in words. Gratitude is shown is acts." "Gratitude i merely the secret hope of further favors." "Gratitude unlocks the fullness of life. It turns what we have into enough, and more. It turns denial into acceptance, chaos into order, confusion into clarity.... It turns problems into gifts, failures into success, the unexpected into perfect timing, and mistakes into important events. Gratitude makes sense of our past, brings peace for today and creates a vision for tomorrow." "It is not happy people who are thankful, it is thankful people who are happy."